At first glance, reading comprehension seems simple. Did the reader understand the words on the page? In reality, though, reading comprehension is so much more. It depends on not only language ability – the stuff we ESL teachers love to dream about – but also experience and intelligence. Along with that, vocabulary, genre and personal interest can also play a part in how much a reader understands. All of this goes to say that reading comprehension is not as cut and dry as educators may once have thought. All these pieces work together to determine just how much of a text a reader “gets”, and when limited English proficiency plays into the equation, reading comprehension can be downright complicated. The good news is that there are ways to assess ESL and LEP students that depend less on language skills and look more at overall understanding. Researchers have argued that conversation, or discourse, is truly the basic unit of communication rather than isolated words and syntactic structures. With this in mind, you may be able to get a better feel for how much of a passage your students have understood when they have a discussion about that passage. By observing what your students say about what they have read and not relying on multiple choice answers to determine what they know, you may get a more holistic read on how much they have really understood from the passage. During discussion, your students will also have a chance to present what they did understand from the passage rather than creating anxiety over what they did not understand in what they read. To do this type of reading assessment, put your students in pairs or groups of three, and ask the groups to talk about the passage that they read. What information was presented? Why was the information useful or not? What can you do with the information you read? How can you apply it to your life? Vary the questions depending on what type of passage your students read. The listen in on the conversations to see if students discuss the passages appropriately. You may want to use a rubric for grading purposes. Another way to check your students’ comprehension without relying on linguistic feedback is to set practical applications that use the information they have read. In simple terms, this means have them do something with what they read. This type of assessment may be particularly useful for nonfiction reading passages. You can give your students a series of instructions, written in paragraph form or list form, and have them follow those directions. 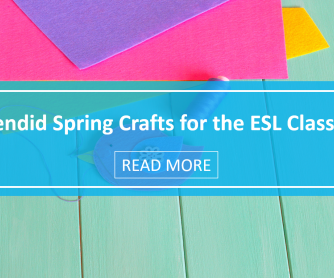 Experiments, art projects, assembly instructions and other similar processes can all be used with your ESL students depending on what they read. Watch to see if your students can complete the task outlined in the reading. Not only will this process give you a measure of reading comprehension, it will also require your students to use higher order thinking skills with the information they read! ESL students, like all other language users, have a larger receptive vocabulary than productive vocabulary. This means that we all understand more language than we can produce verbally or written. To help your students around this production barrier and check their comprehension in the process, have them produce nonlinguistic responses to questions about the material they read. You can do this by using puppets, drawings, or other nonverbal means. Another option is to have your students retell the story. Again, use pictures, puppets or other nonverbal means. When you assess your students’ comprehension, look that they include important elements of the story such as setting, character, problem, resolution, and ending. Because an isolated reading passage does not take into account many of the nonlinguistic factors influencing reading comprehension, assessments across passages may provide a better read on students’ comprehension abilities. To look at the improvement your students achieve over the course of a unit, semester or year, you may want to use the improvement in reading comprehension rather than the raw score on one passage. Choose two similar passages – in difficulty level, subject and genre – and write the same number of comprehension questions for each passage. Give one passage with its questions to your students at the beginning of the grading period. Then at the end of the grading period, give your students the second passage and its questions. Use the improvement between the first and second tests to get a better idea of how much your students have learned. By using two separate passages, you reduce the influence personal interest, genre and experience have on your students’ test results. 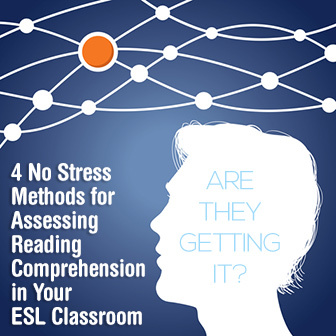 Assessing reading comprehension in ESL students can be difficult to say the least. When you make intentional choices, though, to look beyond your students’ words to what they really know and understand, you might get a bigger and better picture of what they are capable of. Try one of these or a similar assessment method the next time you test reading comprehension in your students. They may find the process less stressful, and you may find the results more reliable.